Just 20 km from Patna, lies the village of Dhibra. Here, a group of women — who hail from the 'untouchable' Ravidas community and call themselves the Sargam Mahila Band — have found a status as local celebrities, all thanks to their skill with the drum. The men of the Ravidas community are known locally as 'Chamars', the women as 'Chamain' — their 'untouchable' position in the caste hierarchy meant traditionally, working with leather/skinning carcasses of animals (for the men) and midwifery (for the women). 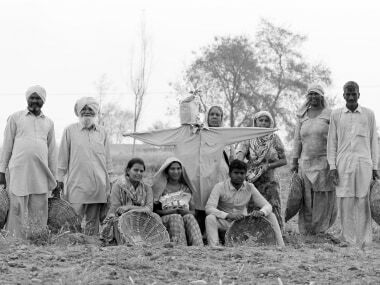 In more recent years, they work as landless farm labourers. The Ravidas community is among the most severely marginalised in the state of Bihar — for long they have settled outside the bounds of the main village, the upper castes think of them as 'unclean' and their position is generally that of the 'lowest of the low'. Things for 10 of the community's women changed when they began training to play the drums. Now drum-beating has been a part of village life and rituals for ages, however, it has been a male preserve so far. Until the day a trainer from the Patna-based NGO Nari Gunjan came by four years ago, offering to give the women lessons in playing the instrument. Nari Gunjan is run by Sudha Varghese; originally hailing from Kerala, Varghese has been working among the oppressed communities of Bihar for the past four decades now. The women fondly call her 'Didi', and say that their changed circumstances and improved social standing are entirely due to her initiative. "All credit goes to Didi," says Savita, a member of the Sargam Mahila Band. "It was she who purchased drums and other things for our group." The Sargam Mahila Band is the sole women-only drum band in east India. 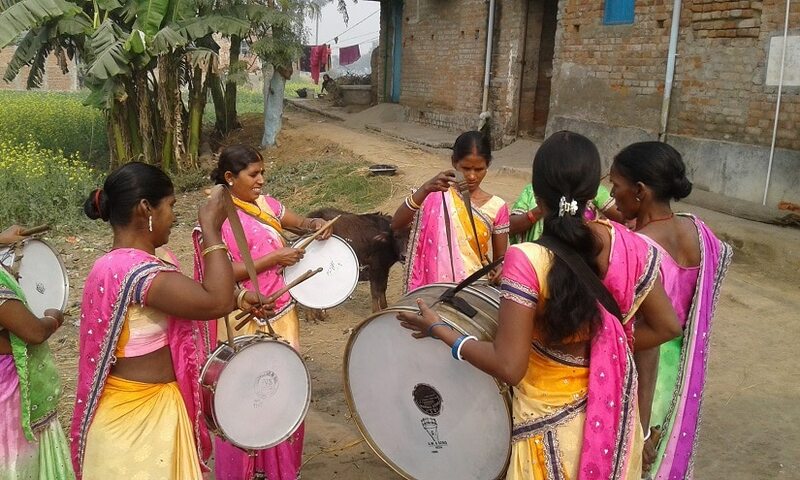 Their considerable prowess on the drums has made them a favourite across rural Bihar — whenever a festive occasion is to be celebrated, the band is called for. The women proudly tell us that they are picked up and dropped off in an SUV whenever they're invited to perform at an event; until now, no party has ever haggled over paying them their fee, or tried to renege on a deal. They insist on being given proper accommodation if they're required to stay overnight, and don't feel the need to take their menfolk along. Most importantly, no one talks to them about being 'untouchable' or treats them poorly — which the women count as the biggest change. Chattiya Devi, a slim energetic woman in her early 30s, says she never imagined being greeted into upper caste homes with so much respect — that is, until she joined the Sargam Mahila Band. "As part of the band, I've been to the homes of most of the powerful people in the villages and small towns here," she says. Chattiya radiates enthusiasm, clad in a colourful sari, with a big red bindi on her forehead, and the bright sindoor that declares her marital state. The mother of three says the drum has become a powerful tool in the hands of women like her: "It helped us to change the age-old perceptions of our community." While they've found happiness and a new purpose with the band, many of the women say their new avatars weren't accepted quite so easily. In fact, the struggle began at home, with husbands who weren't comfortable with the idea of their wives touring and playing the drums. With their Sudha didi's encouragement and each other's support, the women persisted, until they achieved what they had set out to accomplish. "We were taunted, laughed at and dissuaded by family members, villagers and others when we were training with the drums," recalls Chatthiya. "For 10 months, we practiced two hours a day, every single day, to get to where we are today." As part of the band, the women now earn three times more than what they did as farm/construction labourers. Savita, the head of the Sargam Mahila Band says, "Ab hum logo se koi chut-achut nahi karta. Ab izzat milti hai, toh khushi milti hai." Savita says that when there is a lull in the festive/wedding season, the women still do farm work — but it is by choice, not under compulsion. 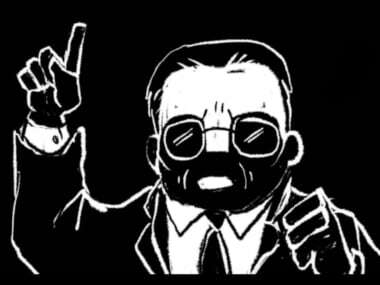 "Playing the drums remains our main profession." Savita declares that the band has helped them challenge the old order of society, where once their presence would have "polluted" an upper-caste celebration, now they are sought out for these same events. Her band-mate Anita Devi adds, "This band is our new identity and people now have a different image of us. We are no longer 'Chamain'." During the summer and winter wedding seasons, the Sargam Mahila Band gets busy. The months of November and December 2017 brought them 20 bookings, February 2018 already has seven appointments for the band. Apart from these, there's a steady stream of birthday parties, inaugurations, local sports events, functions at schools, colleges, organisations, and of course, festivals. "We never say no to a performance," says Savita. The band earns anywhere between Rs 8,000-10,000 for a day's work. Sometimes, they earn as much as Rs 15,000; each woman can expect to take home about Rs 1,200 post-event. The women have visited over 100 villages and small towns in the Patna, Nalanda, Arwal, Jehanad, Bhojpur and Gaya districts and have also been to Odisha and Delhi to perform at events, over the last four years. 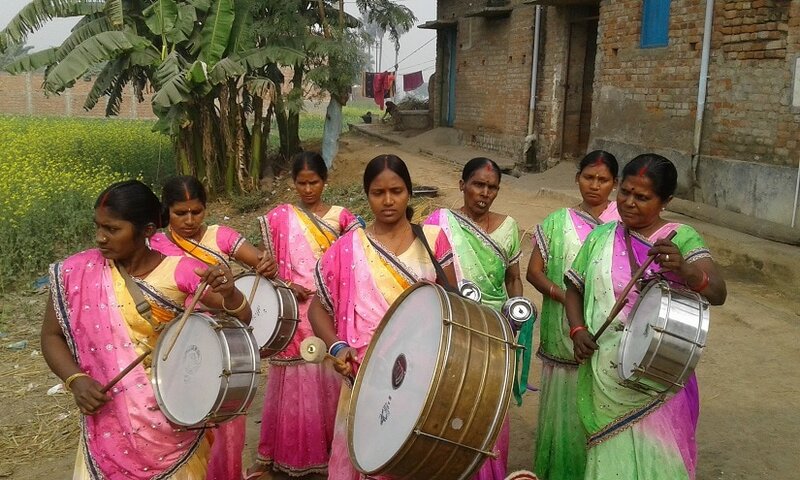 The success of the band has prompted Sudha Varghese to attempt a similar experiment with women of the Mushahar community of Punpun block in Patna district. Sita Ram Das, 75, is the senior-most member of the Sargam Mahila Band. 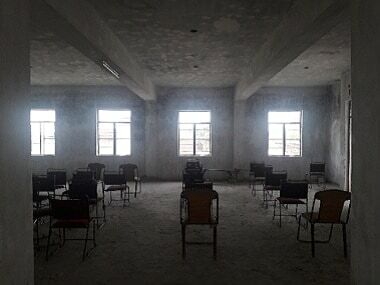 "I have lived through a time when Chamars like us were asked to sit separately. To enter a temple was not easy. But the drum band empowered us," she says. The women in the band may not read or write, but they have their own visiting cards. "Now we send our children to private English medium schools, in nearby Danapur. We may be illiterate but we want education for our children so they can have a better future. Our financial situation improved tremendously because of the band," says Pancham, a 32-year-old mother-of-two. Anita says she delights in spending her earnings on good food and education for her children. "I can also buy saris for myself and nice clothes for the children," she says, "things that were out of our reach just a few years ago."